When we invaded Keith and Marlene’s families in Virginia last year for Thanksgiving, Keith seemed particularly keen on Carol’s rich fruit cake. It was actually a Christmas cake, of course, but it seemed appropriate for any celebration feast. In honour of this year’s return match, Carol decided to make two similar cakes, one to keep Keith happy before Christmas and one for Christmas itself, and had begun steeping the fruit just prior to the Gatwick Express. Thursday was time to bake the first cake. Making the cake is a four hour process so, while Keith and Marlene slept on after their being route-marched around London, Carol got to work. As folks eventually began to face the day with tea, coffee, breakfast, tea and coffee, the kitchen began to smell as if Christmas may be just around the corner. I was left guarding the still baking cake, lest it try to escape from the oven, while the others went on a brief local shopping trip to Leighton Buzzard. After the cake was pronounced finished and removed from the oven, it was time to return to the delights of Milton Keynes to collect a pair of new bar stools that would enable us all to sit while gathered in the kitchen. 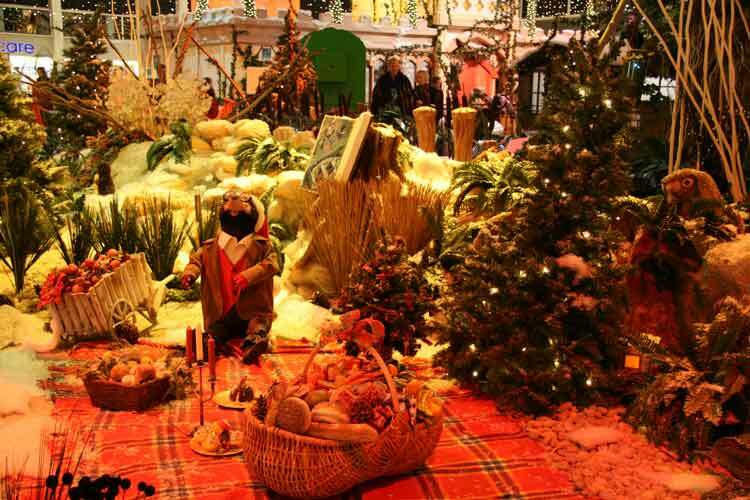 It was also a good opportunity to see the Christmas decorations in the shopping arcade which, each year, has a themed set of scenes and illuminations. This year the theme is Wind in the Willows, though it seems a little more sparse than previous years. 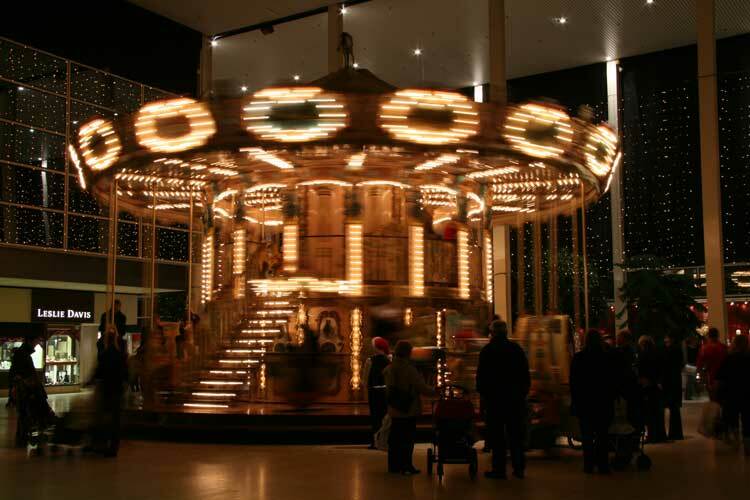 Photographically, Carol was particularly taken with a splendid illuminated carousel. Everyone was freed from further cooking duty in the evening as we were off to get another of Keith’s favourites, real English fish and chips traditionally cooked by Orientals.